A slower week for Sport fishing as the water cooled down in comparison with last week, with beautiful weather and sea conditions, species biting are Bonita, Rooster, Needle Fish, Skip Jack Spanish Mackerel and Wahoo. With chilly but sunny days all week, an average temperature of 78F, and an average water temperature of 75F. 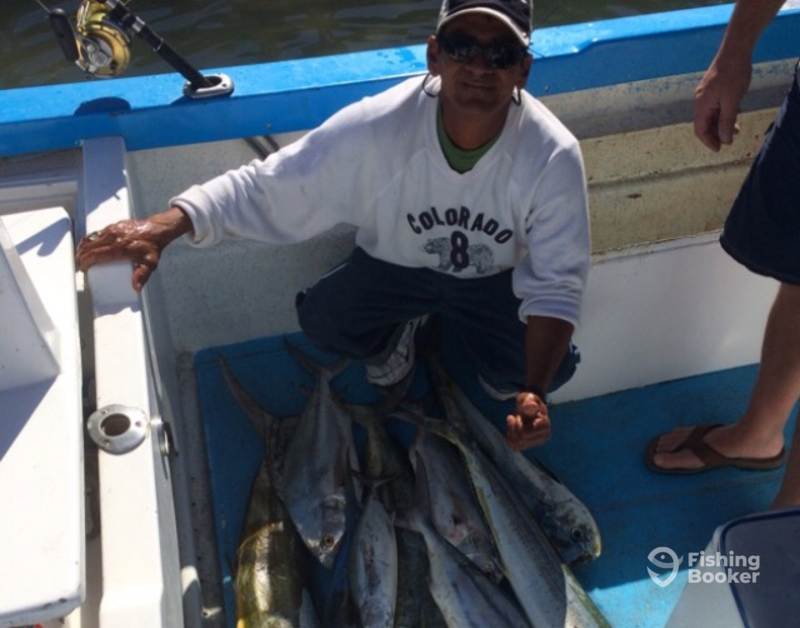 With 33 fishing trips provided by Sushi Time Sport Fishing, we had a 87.87% effectiveness catching fish. Our fleet production this week is 53+ bonitas, Rooster, Needle Fish, skip jacks and Spanish Mackerel, 28+ Dorado in the +35 lbs. category, and 4 Stripped Marlin. Our fish mostly caught this week on live bait. The highlight of this week was the rooster fish caught on most of our trips that stayed close to shore. The Hot spot for this week remains the Pacific side from Sunset Beach to the Old Lighthouse. The solution to any problem –work, love, money, whatever –is to go fishing, and the worse the problem, the longer the trip should be.